Technology is always looking for things that will make a mother's day all the easier. There have been plenty improves especially in dealing with diaper cleaning. 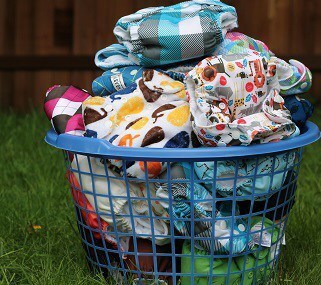 For the sake of an organic lifestyle that is driven by an urge to cut down on waste material, many mothers have done back to cloth diapers. Cleaning these diapers can be a task for some mothers. However, the diaper sprayer is a new technological work that will help mothers in cleaning those dirty diapers. Why Would Someone Decide to Go with a Diaper Sprayer for Cleaning Diapers? 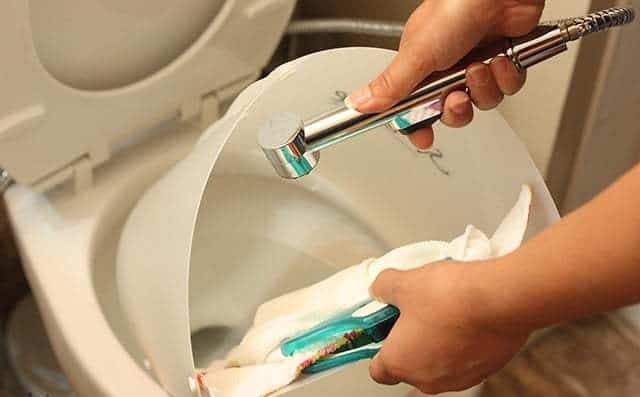 How Does the Diaper Sprayer Prevent Problems with Plumbing and the Washer? There are plenty of diaper sprayers that have recently become available on the market. Picking out the right one is not that difficult, especially since some of the best ones out there have similar features. Here are five of the best diaper sprayers to consider for purchasing. The first model of diaper sprayer to consider is SmarterFresh's Cloth Diaper Sprayer. This model is made of premium stainless steel that is able to perform under the heavy water pressure provided by a toilet. At the same time, SmarterFresh's model also comes with an adjustable force for any power level between a gentle mist and a jet spray. At the same time, this option also acts as a splatter free product to prevent messes from splashing around and landing somewhere other than the toilet. This product comes with connection technology called Diaper Duty Easy & Frustration Free, meaning this product is guaranteed to not leak or pose any problems. The best aspect to this product is that it completely removes the need to perform a dunk and wash process. SmarterFresh claims that this product will be able to clean any mess from any diaper. In most cases, some messes are worse than others. This product is supposed to stand up against the worse messes that could land into a diaper. There is a brass t-valve adjustor on the hose as well. It also comes with a hook holder that can be suspended from the toilet bowl. Another popular brand for diaper sprayers is ShowerMaxx. They have a cloth diaper sprayer that is made of premium quality. It comes with an adjustable water flow, too. It also claims to take care of the worst messes. At the same time, it allows for a person to technically only have to touch the diaper with one hand. In this case, far fewer germs are spread. This premium sprayer is also proven not to leak. One of the most popular diaper sprayers on the market is by Bumworks. This model is made completely of metal as well. It comes with an adaptor for the hook up into the toilet's water supply, and it also has a hook for hanging over the toilet bowl. This model is one of the highest rated in its category, and users only have good things to say about it. Most people come to this product because it is cited again and again as being the best option for diaper sprayers. Reviews only sing praises of this device. Some kits come with more than just the hose and sprayer hook ups. BabyMojos' Two Spray Model Cloth Diaper Sprayer Kit comes with a wet bag. This bag is used solely for holding and washing diapers. This wet bag is the most sanitary way to go about doing this task, so it is a necessary accessory to have at hand. BabyMojos' product comes with plenty of cord for the water to run through to the nozzle. This model comes with a brass sprayer hose. The pope and head are made out of metal. Specifically, they are made of 7/5 stainless steel. A t-valve is also included alongside a mounting clip for attaching the sprayer to the toilet when it is not in use. A diaper sprayer is one of the newest bits of technology that will make motherhood easier for some women. This device was specifically made with mothers who use cloth diapers in mind. This rather strong spray rinses the messes inside of diapers away and right into the toilet where they belong. It can also be used to rinse off toilet chairs for children later on as the child grows up. Finding the right diaper sprayer can be a task in and of itself. First and foremost, you have to know what connectors are on your toilet for water source. The sprayer will have to tap into this water source, so certain fixtures might be needed, and in some cases, an adapter to put the two together might have to be purchased. The age and conditions of these fixtures also need to be considered. In most cases, the water supply to the sprayer needs to have a great deal of power behind it to do its rinsing tasks, so these fixtures need to be able to stand up to that pressure. Look for models that are made of quality materials. Plastic options might not always be the best bet, especially if there is a risk for a leak happening. 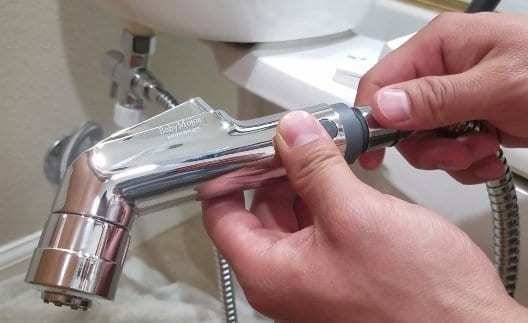 Cheaply made models can cause a flood to exist in the bathroom if a leak happen, and it can also increase a water bill and cause a great deal of damage. Cleaning cloth diapers can be a pain. That specific reason is why people switched from cloth diapers to disposable ones. The mess is so much more controlled and easier to clean up. First and foremost, cloth diapers cannot sit and stew in their messes. They need to be cleaned right away. Some people use liners that can be peeled off the cloth diaper to dispose of the mess, but it still leaves some stains on the diaper. At the same time, a parent can do the dunk and swish method. The task is performed just as it sounds: the diaper is dunked into some water, sometimes from the toilet, and swished around to clean off the cloth diaper. This task is extremely messy and can spread germs easily. Neither of these things can happen to keep the parent doing the cleanup as healthy as possible. Diaper sprayers put the mess where it belongs for disposal, in the toilet, and it also gives a chance for residual stains to be pretreated before they end up going into the wash.
People who use cloth diapers have a few options of performing their dunk and swish with dirty diapers. They can use the toilet, but this germ factory might not be the best choice. A tub or shower can be used. The same can be said of a sink. However, there is a concern that comes into play when any water feature other than the toilet is used. The pipes connecting to these fixtures work under low pressure. Therefore, they might not have the power to push through a frequent mess of a cloth diaper. At the same time, they are not the largest pipes either, so that can further heighten the risk of clogging pipes. Using a diaper sprayer prevents other water features in the bathroom from being used altogether. Therefore, there is no risk of blockages in pipes. The mess goes down the most powerful disposal pipes in the entire house, which leaves no room for a backup to really occur. There are plenty of things to consider when purchasing a diaper sprayer. This technology has surely revolutionized the way that women wash cloth diapers today. They are growing in popularity for a reason: they are a cleaner, safer way of cleaning cloth diapers. Thirsties Baby: Do You Use a Cloth Diaper Sprayer?